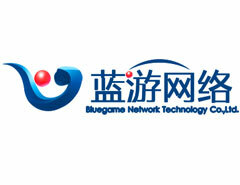 Bluegame Network Technology Co., Ltd.（Hereinafter referred to as Bluegame Network）was founded in May,2013. It’s located in the Baoan Internet Industry Base.Our company is operating network entertainment media with strong capacity, through professional team and advanced network technology, we do our best to dig the pleasure of network entertainment industry for users.We provide the quality service to users all the time through our service team，technology team and management team, ensure the user's entertainment needs. Bluegame Network is based on the game development and production, supported by technology and service,and mainly for network game development and operation. Beginning of the company establish a "service-oriented, the player-oriented" business philosophy, make great efforts to shape the good brand image and good market reputation,and the strong technical strength is the guarantee of the company healthy development.Bluegame Network’s services contained every aspect of the digital interactive entertainment area.We strictly in accordance with state laws and regulations,and our purpose is “green，environmental protection，original，novelty”.We provide the quality and efficient professional digital interactive entertainment service to customers by our advantages. In future,Bluegame Network will base on strong capital and investment in human resources, and active participation in research and development,agency and operation The spirit of "entertainment for the day, unlimited vision" concept. We are committed to build a integrated digital entertainment platform like “Network Game Interactive Community”by the spirit of pursuing innovation. We have one stable,young,experienced and professional team, constantly create good achievements in network game area.We are growing stronger and stronger during the process of game development operations.90% staff in this team have a bachelor’s degree or above,they have rich experience, strong comprehensive quality and strong sense of responsibility and honor.If your dream haven’t wither,and you aren’t content, we are pleasure to provide a stage to show your talent, welcome to join us!